As a writer I deal with rejection on a very regular basis. Story ideas get knocked back. An editor will bluntly say ‘this needs more work’. A piece I publish on my blog will really bomb. Becoming an editor myself helped somewhat as it showed me how fine the line is between a piece being ‘just right’ … and not. It’s also given me a taste for having to knock back or modify the work of fellow writers, some who are friends. And I’ve come to realise that when I knock stuff back, it’s never personal. I’m simply doing what is right for the publication. But while this knowledge has helped, having my work rejected by anyone for any reason still hurts and I got to wondering why this is. Am I am your typically overly-sensitive creative type? Do I need to just toughen up? I decided to go in search of some answers. And what I found was this … ALL of us humans are overly sensitive creatures. In fact, the average human experiences rejection at least once a day – often from people we don’t even know. We might smile at a stranger walking down the street, only to receive no response. We might let someone’s car slide in before us at an intersection and receive no acknowledgement for our kindness. Someone in the office may be a little distracted and consequently a little short with us. How ironic. 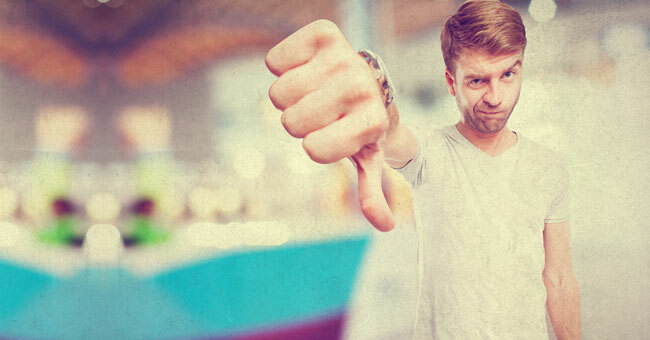 Rejection makes us feel disconnected from those around us … yet the hyper-connected world in which we live is now giving us many more opportunities each day in which to feel rejected. 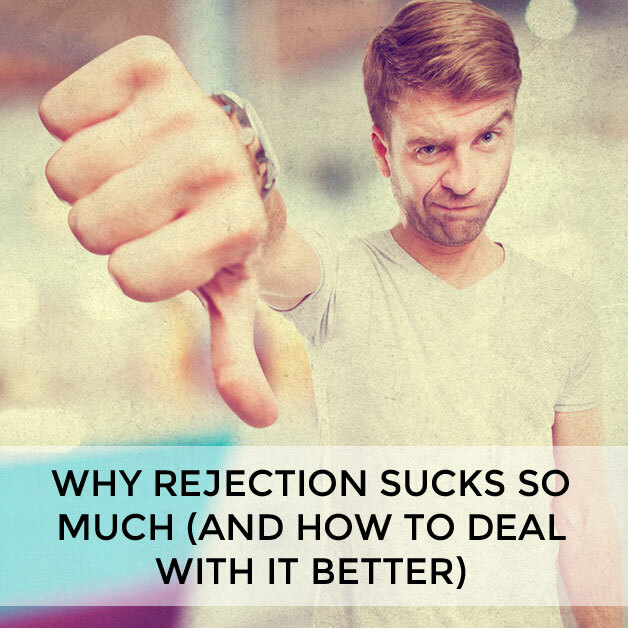 Ok, so now we know rejection affects us all in a fairly similar fashion, just exactly how do we deal with it? If everyone in the world allowed their ego to be irreparably shaken at every slight – perceived or otherwise – society just wouldn’t function. “It’s simple to live your life quoting clichés about the need to develop tough skin, that words ‘cannot hurt us’. But the reality is they do. There is nothing more isolating than the feeling of being rejected. Is there anything else can we do? Understand that everyone feels the pain of rejection every single day. In other words, it’s not just you. Understand that it is seldom personal. The person ignoring you in the street might have a parent in hospital. The client who decided to go with another designer might be responding to pressures from higher up in the organisation. That person who didn’t respond to your witty facebook comment might just be really busy. Find something to do that gives you an ego boost like seeking out the company of people who make you feel good about yourself. Exercise! I defy anyone to feel as low emotionally at the end of an exercise session as they did at the start. Recognise the power of choice. Ultimately you can choose to dwell, or you can get on with the business of getting on. It’s completely up to you. Why is rejection on my mind? Well one, Brooke and I are recording a podcast about it this week … and two, Practical Perfection is two weeks away from being released into the wild. I’ve experienced rejection in writing the book (seeking comments for the book from people I admire and receiving … crickets) and I’ll experience rejection when it comes out (because it’s not going to resonate with everyone who reads it). So tell me … have you got any excellent coping-with-rejection strategies to add to the five I’ve listed above? I’m all ears! She’s an editor and ghostwriter, the author of four books, owner of Swish Design and co-host of two podcasts: Let it Be and Straight and Curly. She’s also a runner, reader, mother, wife, daughter, sister, friend … the list, it goes on! How can she best help YOU? Find out here.